MONTREAL — The federal government is heeding Quebec’s request for its assistance — including help from the Canadian Forces — as many parts of province brace for heavy flooding this weekend. 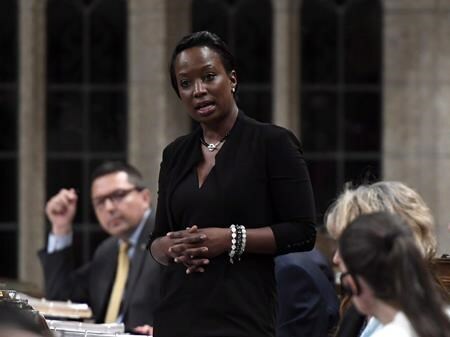 While the risk level hasn’t changed in recent days, authorities now expect the brunt of flooding will begin on Sunday and last longer than expected, Quebec Public Security Minister Genevieve Guilbault told a news conference in Quebec City on Friday. Guilbault made the formal request for federal help earlier in the day as residents across the province scrambled to protect their homes. Officials in several communities say the flooding could be even worse than the record flooding of 2017 that forced thousands from their homes. Federal Public Safety Minister Ralph Goodale confirmed in a tweet that assistance would be provided, not long after he and Guilbault spoke. “The provincial government is requesting federal assistance to combat flooding. Federal reply is, of course, yes,” he wrote. Guilbault said Canadian Forces brass are discussing with provincial officials where to deploy resources and that she spoke directly with Brig.-Gen. Jennie Carignan earlier Friday. The province will also allow stores — usually closed on Easter Sunday — to remain open this weekend so that residents can stock up on any supplies they need. Water levels are already quite high and are expected to rise sharply with warm temperatures, snowmelt runoff and the heavy rainfall in the forecast. Thomas Blanchet, a spokesman for the province’s public safety department, said residents should be ready for a sharp spike in water levels that could come quickly, and implored them to follow the instructions of local officials. Blanchet says while there are no official evacuation orders currently in the province, some municipalities have issued preventative orders, such as Rigaud and Pointe-Fortune in southwestern Quebec. 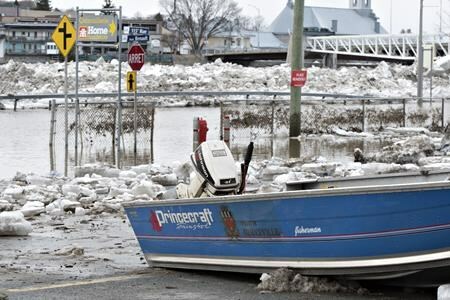 Meanwhile in Saint-Raymond-de-Portneuf, about 60-kilometres northwest of the provincial capital, seniors have been moved to higher ground as the Ste-Anne River levels continue to rise.